In a change from previously advised location, our Welcome Reception will now take place in the exhibition hall of the International Convention Centre, offering delegates the opportunity for a "sneak peak" of our exhibition! Drinks and light snacks will be provided. The Welcome Reception will take place from 17:30 - 19:00 allowing delegates plenty of time to venture into the centre of Birmingham to explore the many bars and restaurants on offer. 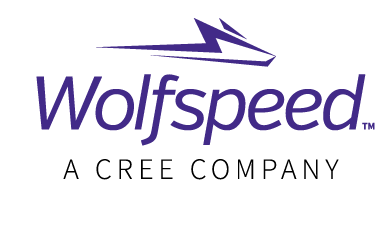 Kindly sponsored by Wolfspeed, A Cree Company. As with previous ECSCRM/ICSCRM meetings, we will be hosting an industrial session allowing the top 15 industrial contributors to take to the stage and share their company's vision and latest developments in their field. This evening session will take place once the technical sessions are completed for the day. Drinks and light snacks will be provided. Pre dinner drinks will be hosted in the Motorcycle Museum giving you the opportunity with the gala dinner taking place in the Imperial Suite which can accommodate a banquet for 700 people with a stage and dance floor. Since opening in 1984 with a collection of 350 motorcyles, this magnificent centre has become the largest motorcycle museum in the world with in excess of 1000 display models and attracts around 250,000 visitors a year. One of the biggest attractions for many guests is the comprehensive cross-section of British machines, spanning the “60 Glorious Years” of motorcycle manufacturing in Britain. The museum’s aim is to preserve these pieces of history for future generations to come, as a reminder of Great British industry, engineering prowess and work ethic and we are sure you will enjoy your visit. Entertainment will be provided during and after the 3 course dinner showcasing local produce, and will provide you with the ideal opportunity to relax and socialise with familiar colleagues and new friends. Return coach transport will be provided to the National Motorcycle Museum from the conference venue, the International Convention Centre. Collection will commence at 17:30 with returns from 11:00. The post conference tour will take place after the conference has concluded on Friday 7th September, 09:00 - 13:00. The ECSCRM 2018 local organising committee have secured the opportunity for a limited number of delegates to visit the Jaguar Land Rover factory facilities at either Castle Bromwich and Solihull. Full details here.